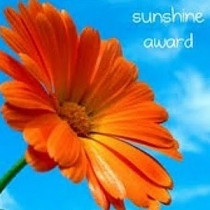 I'm so tardy in acknowledging that my good blogging pal Renee at Writing Feemail's Blog presented me a Sunshine Award. I intend to remedy that now. First of all, this award badge is stunning. I'm proud to fly such a sunny flag. Thank you, Renee, for awarding it to me. Favorite color: I go through phases. When Renee first sent this, I was liking rusts and browns and taupes for the winter, but if I go by what I like seeing myself in in the mirror, black would be the color. As summer approaches, you may have noticed that I have leavened the black with hot pink. Favorite animal: Cats. Had a dog once, a German shepherd, who took care of me and my young teen children after we lost their Dad. Although I loved our dog Chuck, I just didn't have a dog connection. Favorite number: I don't show favoritism toward my numbers. My passion: Writing. Space. As in, "space, the final frontier." A smooth landing. Prefer getting or giving presents: My memory and imagination fail me so utterly in this domain that I'd love to do away with the whole thing. Favorite pattern: What does this mean? Favorite day of the week: I don't play favorites with the days. Thursday is good with my NeedleCrafts group, but I like a nice balance of days between "nothing" on the calendar and good things to do. Favorite flower: Sunflowers and red poppies, especially in French -- tournesols et coquelicots. Renee didn't pass along any instructions about how many bloggers I should pass this award along to. 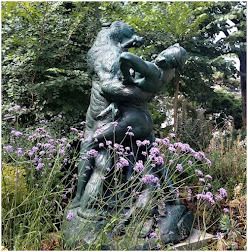 I associate sunshine with happiness and laughter and there are lots of bloggers who make me happy, but I'm going to single out just two who consistently knock me out of my chair laughing. Congrats on the award! I laughed at your revolving colors! I've never heard of not playing favorites on colors! BTW-Sara totally knocks me out of my seat laughing, too! Better late than never Lee. I love your answers and am totally with you on the 'patterns' question. I think some recipients answered circles, or shapes. I asked whether they meant Butterick, Vogue or Simplicity?